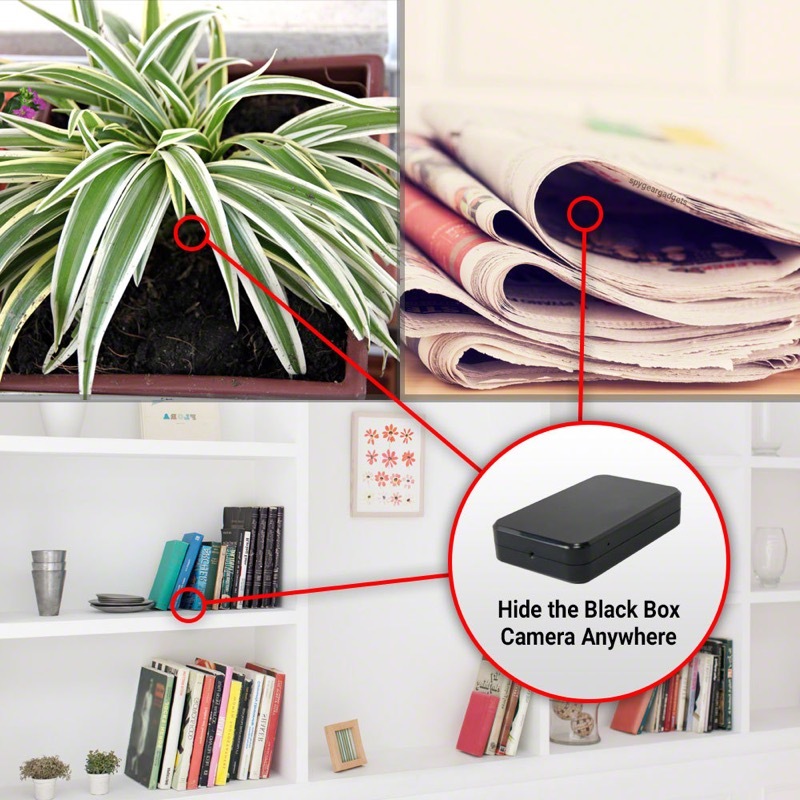 Ever wanted a hidden camera that streams over the web via WiFi and records to a MicroSD card? 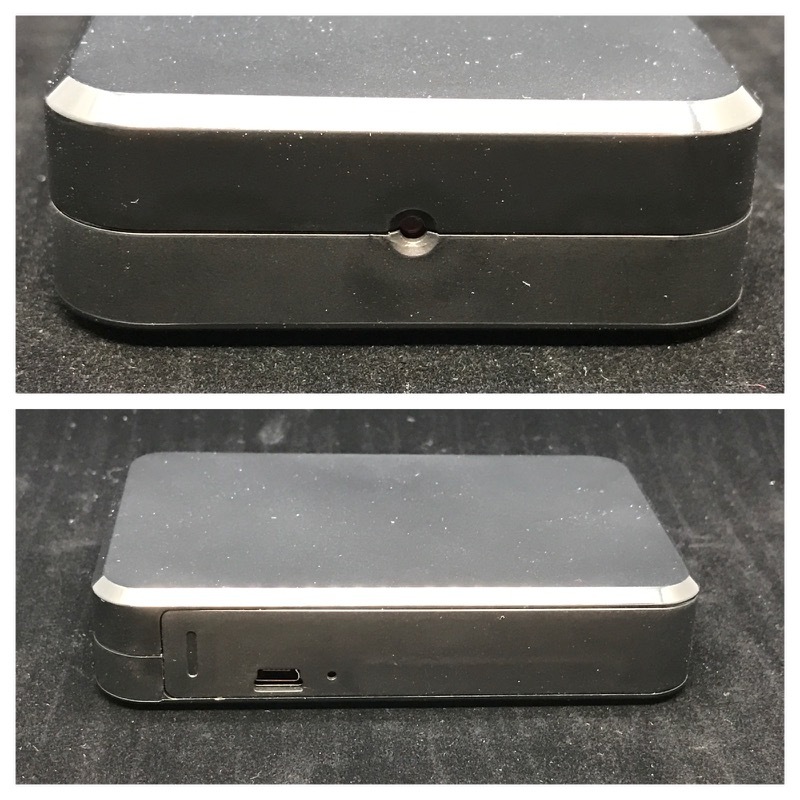 You want battery powered portability or the option for AC power? How about motion activated recording or constant video recording like a dash cam? 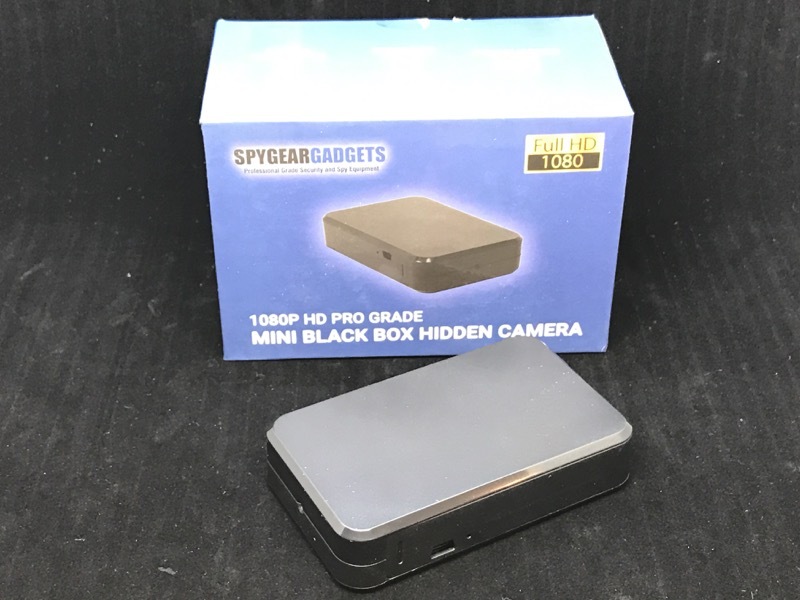 SpyGearGadgets offers a camera that does all that in a plain-vanilla black box that fits in the palm of your hand. Why does this thing look so… meh? Most streaming WiFi cameras you see are roundish things with wall mounts and antennae. Not this black box. It’s deliberately designed to be as plain as possible. You don’t get a lot in the box: Just the camera, charger, USB cable and manual. 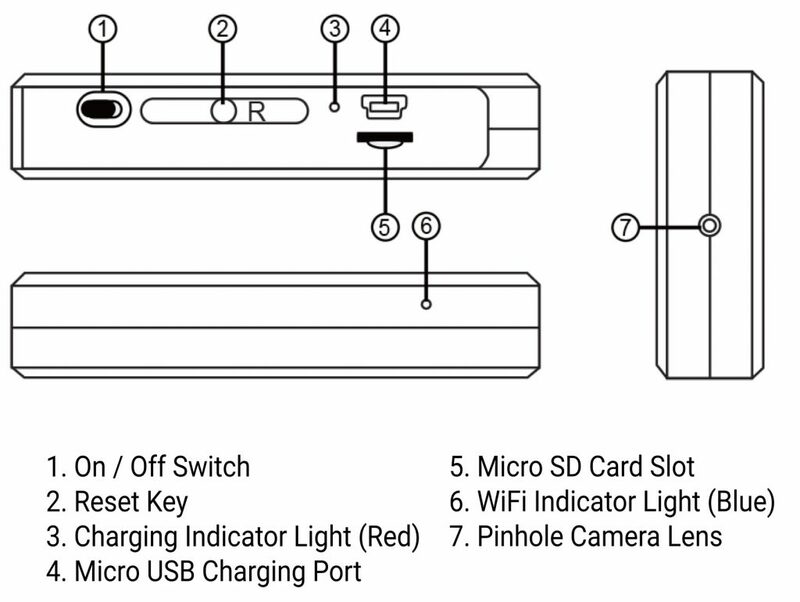 The cable is for battery charging or powering the camera, not for data transfer. Look closely and… you don’t see much. That tiny dot on the short end is a pinhole camera lens. The camera has a built-in battery (lasts about 8 hours) and weighs in just over 4 ounces. 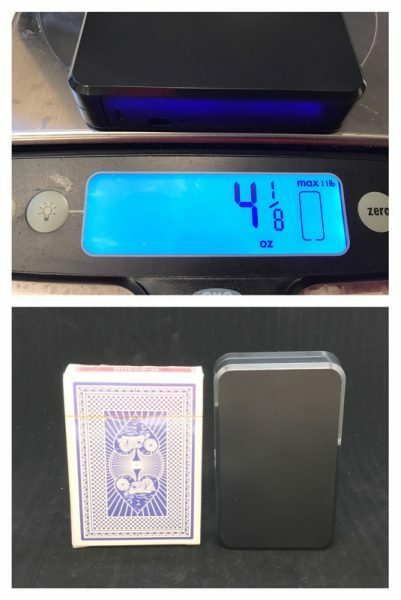 It’s about the size of a deck of cards. There’s a door that pops off to reveal a few controls, but I had to refer to the manual to find out what it was all about. 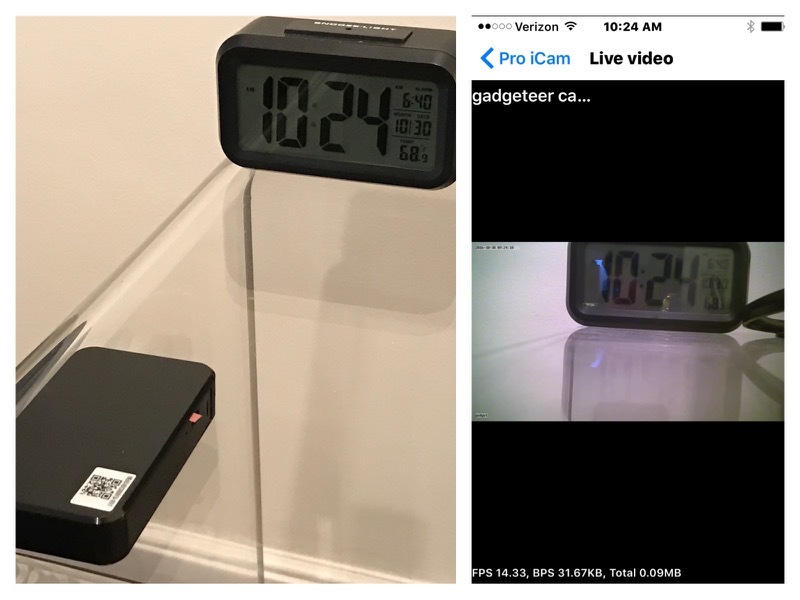 For my first test, I loaded up the iOS app (Android also available, but not for PC or Mac) and aimed the camera at this desk clock. This is the first thing it saw. 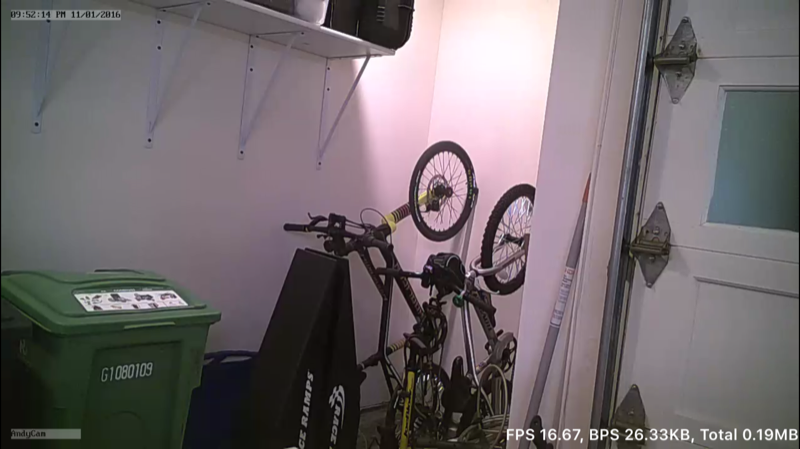 I like to use clocks to test streaming cameras so I can be sure I’m seeing a live image. 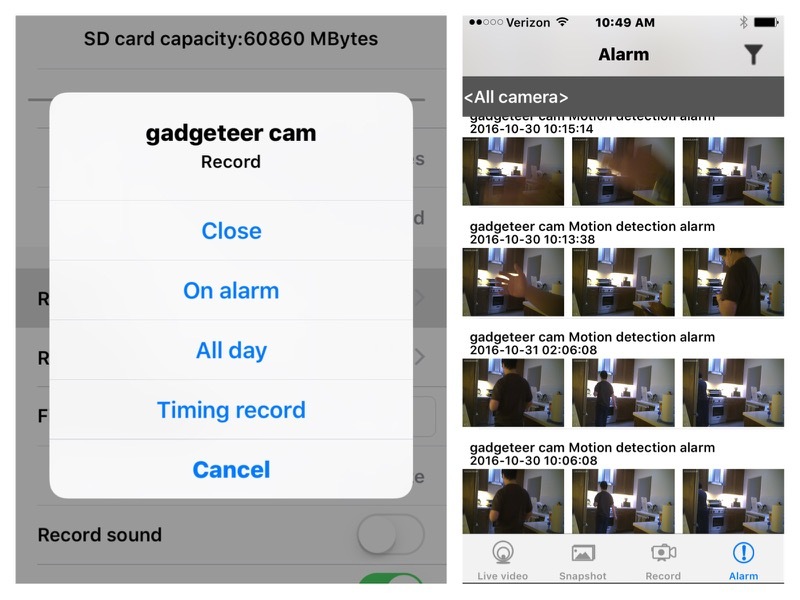 You can also set the camera for motion detection or on a schedule. On the right, you can see several thumbnails of me prowling around the kitchen, caught by the motion sensor. 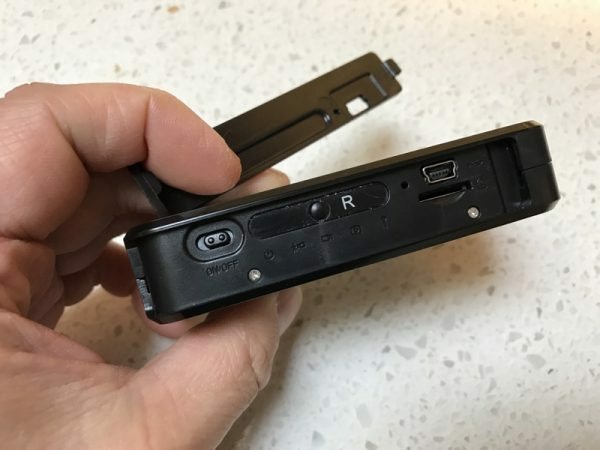 There’s no IR sensor, so I’m guessing it triggers the recording once the camera “sees” something. I also got this cryptic WiFi error message once. I’m not sure what I was doing at the time, but it hasn’t happened since. 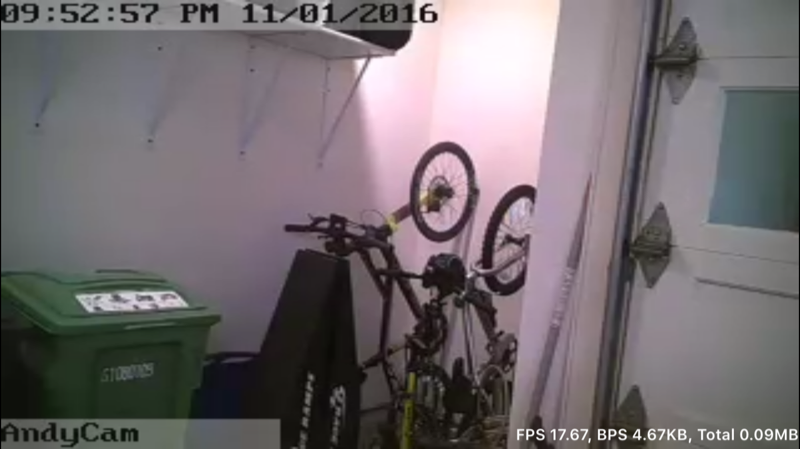 Edit: I’ve added a video clip the camera captured. In this clip, I’ve set the camera up to look down my hallway. Some barefoot human-raccoon is sifting through a closet of cables. One thing nice about the camera is the option to set between resolutions: 1080p, 720p, 640p and 480p. To test this, I pointed the camera in the garage where the bikes are parked. Next is 720p. Note the time/date stamp in the upper left gets a little bigger than the 1080p version. The 640p doesn’t look TOO different from the 720p, but I did notice some more “blocky” artifacts. The numerals on the green compost bin are still legible. Sharpness takes a turn for the worse at 480p. The numbers on the green bin are definitely blurry. 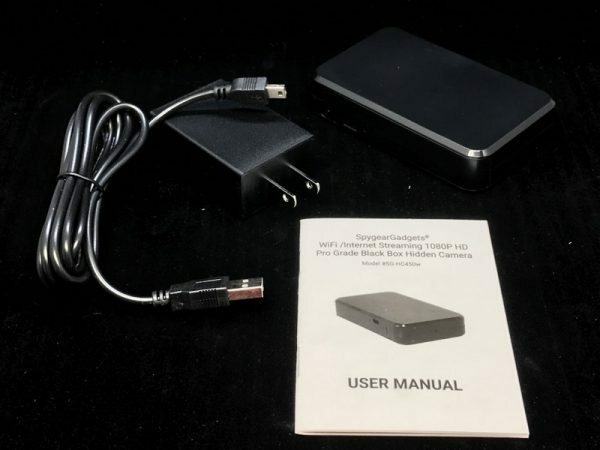 At first, I wasn’t sure what to do with the SpyGearGadgets 1080P HD Mini Black Box Camera. 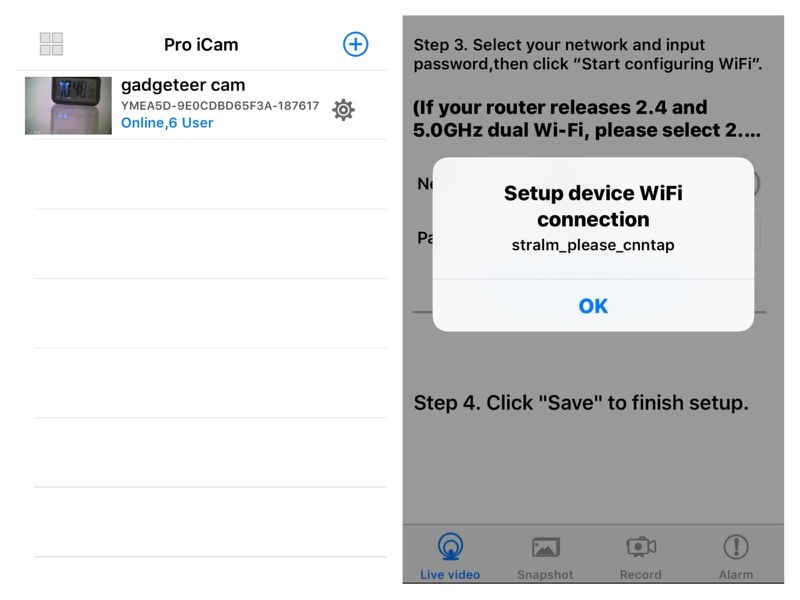 Is it a blocky WiFi camera? Or a motion-activated dash-cam thing? Or both? Or something else? The more I played with the boxy thing, the more I liked it. It could be ALL of those things. It’s plain enough to hide in open view, and small enough to conceal in a DIY project of your own. 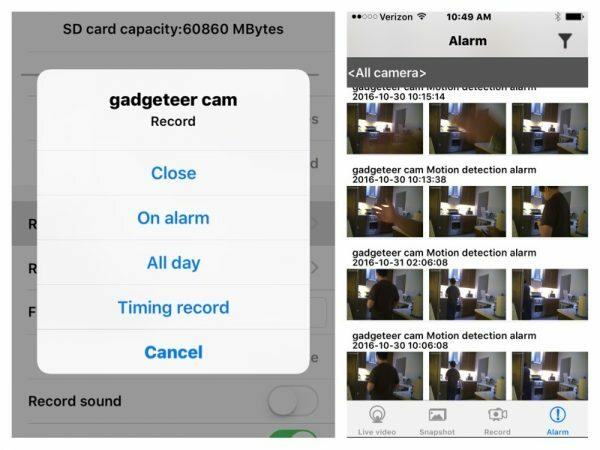 Stream to smartphone or record to Micro SD? USB powered or rechargeable battery? 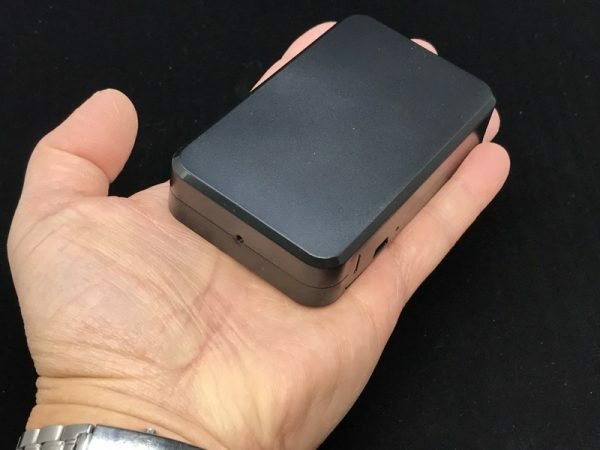 This black box really lets you be creative with your next video monitoring project. Source: The sample for this review was provided by SpyGearGadgets. 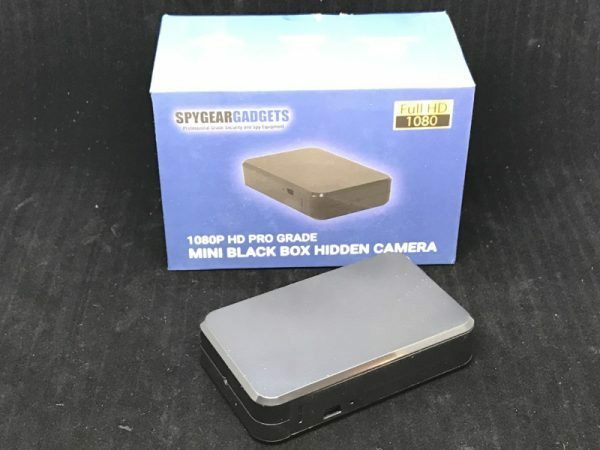 Please visit http://www.spygeargadgets.com/ for more info. Completely plain design allows you to hide camera in plain sight, or easily conceal. Can be set for continuous streaming, scheduled, or motion alarm recording. No PC/Mac viewing (smartphone only). Is there a video sample posted that I’m overlooking? It’d be great to see one if not. I’ll see if I can get one posted. @Aaron: I’ve posted a little clip.